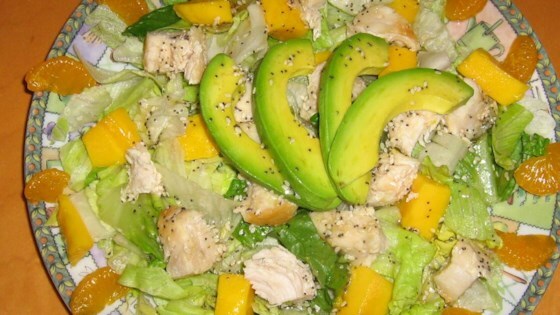 "This is an easy dressing to make that is great over fruit. Just put it in a jar, shake, and it's ready to go. A little goes a long way, and really enhances most fruits, especially oranges, grapes and apples." In a jar, combine oil, honey, vinegar, poppy seeds, sesame seeds, paprika, and Worcestershire sauce. Place lid tightly on jar, and shake until dressing is blended. Very good dressing. I used it on spinach salad. My family loved it. It's okay. A pretty generic oil & vinegar dressing. Nothing to write home about, though. I, too, used it for a spinach salad on this site that called for a poppy seed dressing. (store bought) So I thought- what the heck- I'll just whip some up! So glad I did!! !Thanks!